Dragon is a general term for a mythological creature that is a giant reptile. This creature appears in various cultures. In general the shape of a large snake, but some are described as a winged lizard. 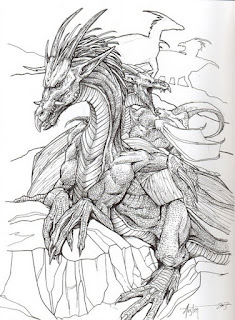 Dragon, in various civilizations known as dragon (dragon), dracen (Scandinavia), Liong (China), known as a superior creature resembling a snake, can sometimes spray fire, its habitat throughout space (water, land, air). Although the depiction of its form is different, but in general the specification of the creature is described as a magical being. Dragon figures in the western world are described as monsters, tend to destroy and ally with dark forces. Imaged as an antagonist who should be destroyed. Someone can get the title of hero or knight by killing the Dragon. In short, the Dragon is a threat to humans. Not so with the image of the Dragon in eastern civilization. In China, the dragon is considered a wise and great figure like a god. Dragon is the only mythical animal that became the symbol of Shio. Minangkabau culture recognize the fairy tale of Sianok canyon created by the Dragon. Dragon decoration is also very closely with the culture of Java, generally there is in the gamelan, the door of the temple and gate, as a symbol of the guard. The Dayaks also describe the Dragon as the ruler of the underworld, and the Hogs as the ruler of the upper world. The dragon in the eastern civilization has a respectable place, because although it has a super power that can destroy, but not arbitrarily can even nurture. Such views are also almost equally throughout the Asian nation. In the Mahabharata story as well as the views of the Indonesian nation itself before the Hindu period, dragons or snakes are always associated with water, while water is absolutely necessary as a means of agriculture. 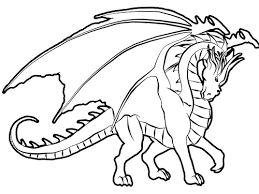 The European dragon is in folklore and mythology in cultures in Europe. The European dragon has a big snake-like shape with two pairs of lizard-like legs and a pair of bat-like wings on its back. The animal is also described as having a long, strong horn, tail, and hard and thorny or scaly skin. His mouth is believed to be capable of spraying fire. Along the spine there is a row of great thorns. The European dragon is mentioned to have exotic colors. 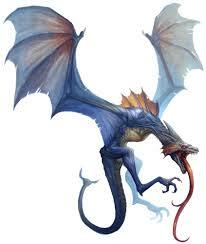 A dragon that has only a pair of legs is called Wyvern, is it Wyvern? Take a look after this. 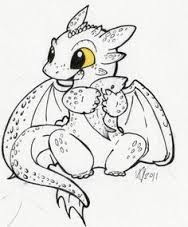 European dragons are usually depicted living in rivers or living in nests located underground or in caves. Some certain dragons protect caves or castles containing treasures. Dragon blood has magical properties, for example able to make immune. In general, European dragons are referred to as evil creatures, though there are some exceptions, such as Y Ddraig Goch ("The Red Dragon Wales). Wyvern (English: wyvern; / waəvərn /) is a winged mythological creature with a dragon's head, a reptile body, two legs (sometimes none), and a curled tail. Depending on the culture concerned, the wyvern may be described as spraying fire or possessing lethality, or possessing these two abilities or none at all. Wyvern images can be found in symbols or flags, especially in European culture. There is a wyvern variant that inhabits the sea, called Wyvern sea that has a fish fins instead of its circular dragon tail. Some cryptozoologs interpret wyvern as a viable survival petrosaurus, which was extinct 65 million years ago. There are also allegations of creatures like petrosaurs in remote areas, call it Kongamato in Africa. 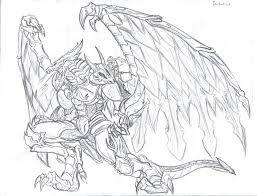 Bahamut is a type of dragon that comes from Arab mythology which is usually described as having a head like an elephant, hippopotamus. Bahamut itself is the king of the dragons probably because of its stronger strength during the fight, even in the game Final Fantasy Bahamut is described as the strongest Dragon king with high level. The most striking difference between Bahamut and Dragon is if dragon / dragon europe has 4 feet while bahamut has a pair of hands and feet. When viewing this picture I'm sure you remember this movie, yes wurm is a kind of dragon without wings that exist in Dragon War movie. Wurm may sound like the word worm (worm) because this one dragon can dig a hole like a worm. 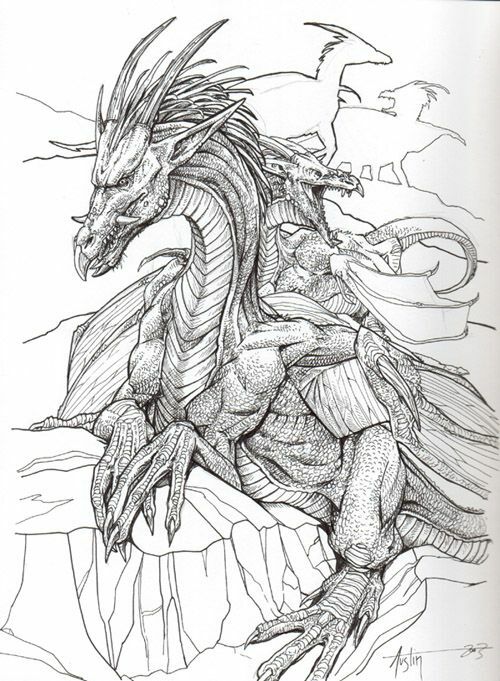 Wurm may also look like the Basilisk that is in the Harry Potter film but Baslilsk does not belong to the dragon category because in the legend the Basilisk is depicted as the king of snakes. Serpent Dragon is described as a snake-like creature with a tad like a deer and sometimes it is described as having a pair of wings like Quetzalcoatl, a dragon derived from the Aztec mythology. Serpent dragon is probably better known as Liong. 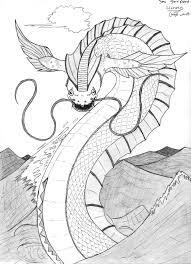 Serpent or liong is depicted in Chinese mythology as a strong, wise and magical being who lives in the sky and the sea. From the above brief discussion we can conclude that there are several types of dragon form of one word "dragon" it, sometimes we are confused if you want to see "dragon" we are looking at Google therefore maybe information about this dragon form can be useful for all of us ~ Sebearnya there are several types of dragons that make me confused to include it in the category which is like Hydra. 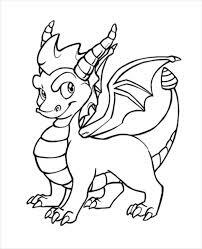 Terima kasih telah membaca artikel tentang Fact About Dragon And Coloring Pages di blog Best Coloring Pages For Kids jika anda ingin menyebar luaskan artikel ini di mohon untuk mencantumkan link sebagai Sumbernya, dan bila artikel ini bermanfaat silakan bookmark halaman ini diwebbroswer anda, dengan cara menekan Ctrl + D pada tombol keyboard anda.